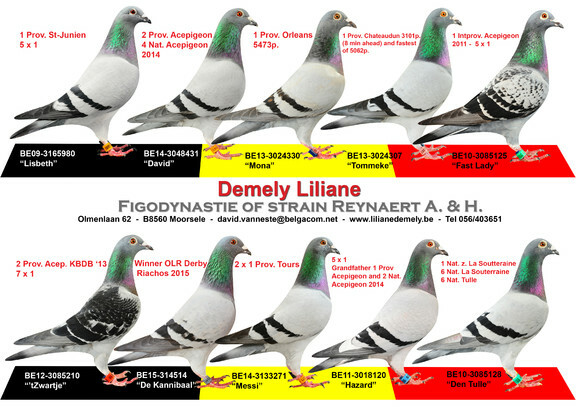 Hok Demely Liliane (Moorsele) settles onto the top in the middle distance and extreme middle distance ! They are good spirits returning ! 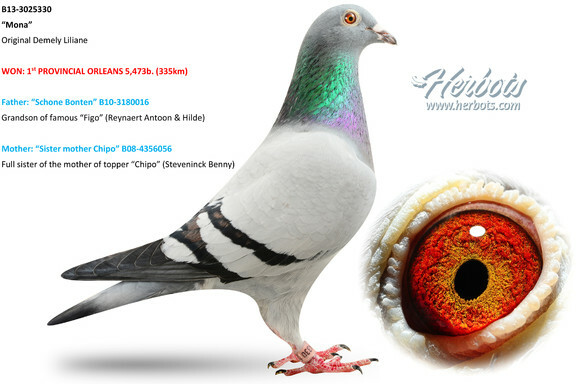 The pigeons are good players who settle on the head annually. This phrase is certainly applicable to the lofts of Vanneste-Demely family in Moorsele. A sympathetic clique and all very enthusiastic when talking about pigeons. It should there a little progress, both at work and in their hobby, they make up the progression. mother Liliane, Filip father and son Dave, all bitten by the pigeon virus. In recent years, they no longer have to imagine the top of the middle distance and extreme middle distance. They have these flights made their favorite site and everything is being done to shine at these distances. Also building their colony and attract other bloodlines are still in that position. A few years back stopped father Filip his active career. He might take some more time for his family and his pigeons. En dat zal iedereen geweten hebben. 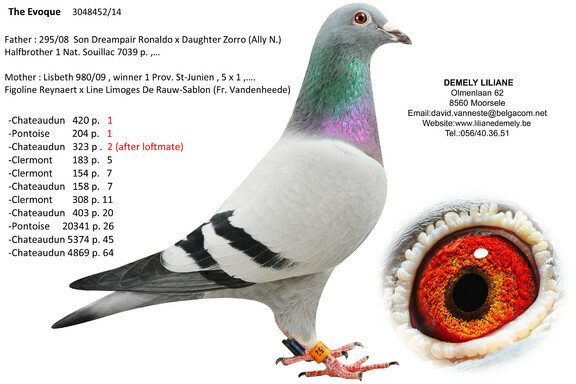 Resultaten in stijgende lijn en elk jaar bijkomende referenties van anderen die goed lukken met duiven van de Demely’s. And of course such a thing is stimulating. Dave is a winner, always wants to No. 1 go, and when the wind in the sails is the bet grows even more. 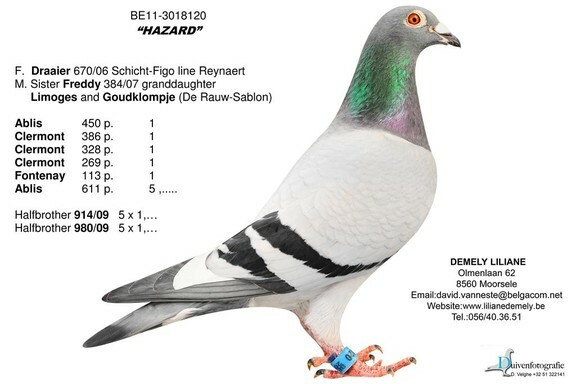 This strong colony and especially the precious blood of the Figo runs like a thread through this team pigeons. 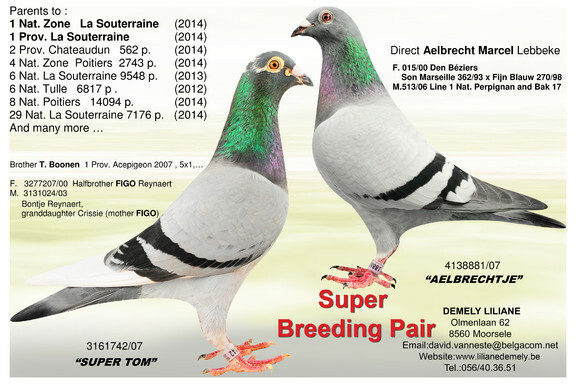 They are extremely well managed, and as is well known, they allow themselves well crossbreeding with other pigeons. They are top racers that easily (?!) Flying first prize. 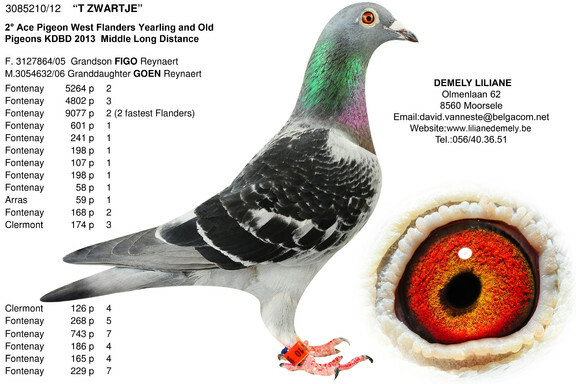 Other varieties with which they are very well done, the line of Chipo (Steveninck, via Jozef Van Damme), Freddy Vandenheede & Jacques, Johny Jonckers, De Rauw-Sablon, Op De Beeck-Batens, and more recently Hugo Vlaeminck. Dave, the charts to look for and test whether the mayonnaise packed with their own tribe. Top x top is a driving force in strengthening their own tribe. The colony is not rampant great. With 30 widowers and a little small team hens they do it every week. The villages are expensive and the bar selection is high. Het is een norm op zich in de duivensport dat de beste selectieheer een klein hok is. Wie niet gevlogen heeft, is gezien…. Dave is ook een zoeker. Altijd op zoek naar topduiven om in te kruisen, sleutelen aan de aanpak, sleutelen aan de hokken. A few years significant changes were made to the lofts and more specifically the ventilation and heating. 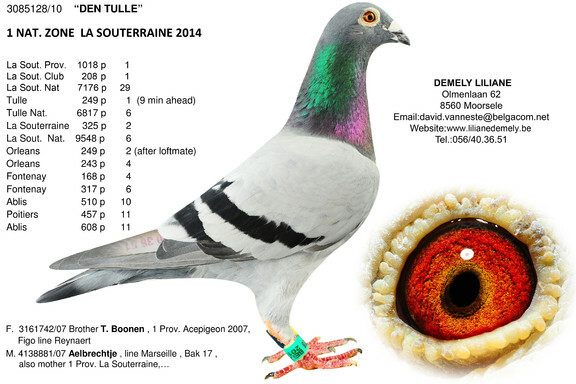 The pigeons were multiforme but never topforme. Since these changes was suddenly easier to get the topforme the lofts. 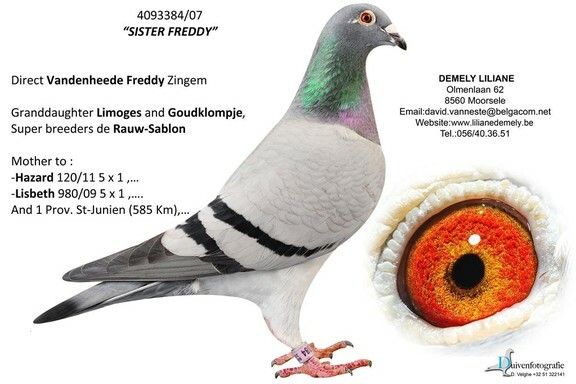 So you see that the deployment of the fancier is at least as important as the commitment of the pigeons, where they go hand in hand warned the competition. Self-top games and play other top, an ultimate dream ? De lijst met resultaten is té omvangrijk om in deze reportage op te nemen, maar minstens 20 x eerste prijs op snelheid en halvefond zijn gerealiseerd. Een zeer sterk seizoen 2016 ! 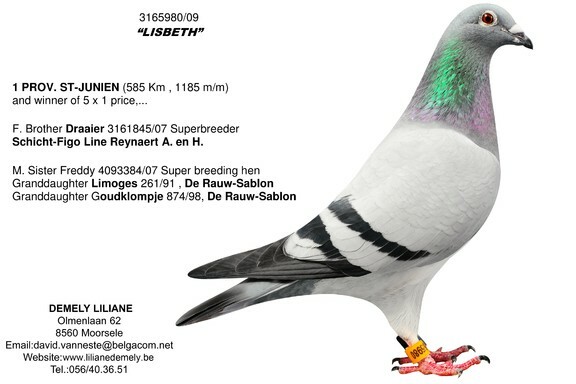 Van al dit moois staan momenteel een aantal duiven te koop op een Herbots Pigeon Bids-veiling (Februari veiling) waaronder de winnares van provinciale Orléans West-Vlaanderen van 5.473 d. Given the references in other lofts and their own annual top prices a very interesting investment ! 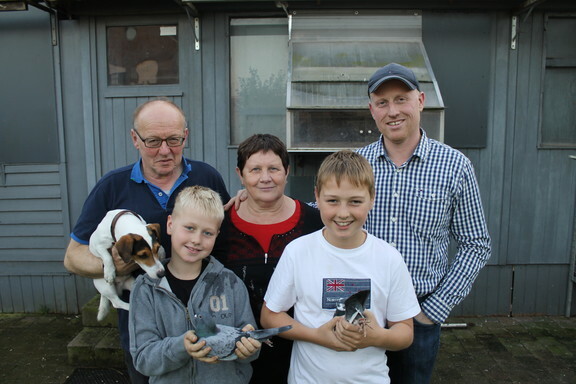 The Demely family every success for the Herbotsteam !